Toshio Odate was schooled in the Japanese woodcraft tradition, and is himself a shokunin, or Master Japanese woodworker. Odate writes from a deeply personal point of view, describing in detail and with authority the many Japanese tools used for carpentry and woodworking. 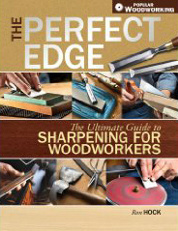 He includes the history and culture of Japanese carpentry, tells of his own experiences as an apprentice woodworker, and offers advice for both beginning and other professional woodworkers.